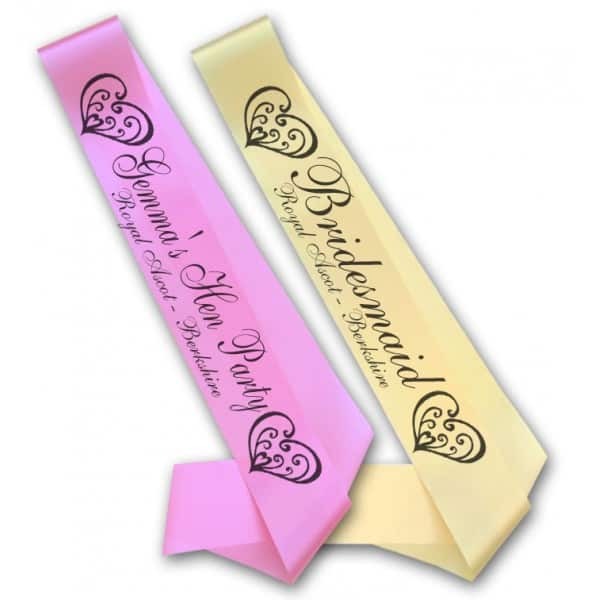 At Balloon Man we offer a range of custom printed sashes. Promotional sashes are popular with charity fund raisers, sporting and event organisers, and are a great way of advertising your business. Hen Night sashes are also available and will help you stand out from the crowd. Customise the sash by picking your colour and then add your message and image.